Even though there are a number of four-door performance cars on the market, the Porsche brand hasn’t been one that you might expect to offer one of these cars. Thankfully, Porsche does offer us the Panamera, which is the sedan version of their sports car lineup to give us a thrilling ride and room for four people to ride in luxurious comfort on the road. Take a look at the pricing offered for this car and let it be the one that offers you the drive you want in Terrytown, LA to show off and enjoy. Visit the team at Porsche of New Orleans and let this member of the Ray Brandt Auto Group help you have the drive you want. When you need four doors, or you want to have a Porsche that does more than offer an additional seat for your date, the Panamera can be the perfect choice for you. This car offers you a thrilling drive and a pedigree of world-class performance and fun on the road. At the top of the range, you’ll have as much as 680 horsepower to give you the excitement you’re looking for. Even if you’re familiar with the Porsche Panamera, you’ll see two new models that are offered for the 2019 model year. These new versions are the GTS and GTS Sport Turismo. New features that have been added to the mix include a head-up display, a new steering wheel design for Turbo models, and an extended warranty for the hybrid battery to eight years. Choose the model with the pricing you’re looking for and start driving this amazing car on the roads around Terrytown, LA today. When you get behind the wheel of the Porsche Panamera, you’ll have the benefits of the 4D Chassis Control at your fingertips. This system keeps track of the driving conditions in three different ways to make sure you can enjoy the perfect integration of the electronic chassis and suspension system to give you the performance and handling you’ll want when you drive. While all this is going on, you can enjoy the beautiful sounds coming from the Burmester 3D High-End Surround Sound system that pushes your music through 21 speakers to give you the sounds you’ll love when you drive. To answer the original questions, “yes” this is a four-door Porsche and it’s an amazing car to drive. 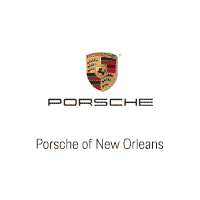 Let the team at Porsche of New Orleans help you choose the right Porsche Panamera with the pricing you’re looking for. You’ll love the drive on the roads in Terrytown, LA when you head out in this car for a night on the town or take it to an open area of the road to see what it can do. This is truly a Porsche sports car that simply has an additional pair of doors.